An enormous and well-deserved congratulations to our founders and co-CEOs following their win at last night’s Ernst & Young Entrepreneur of the Year Awards. 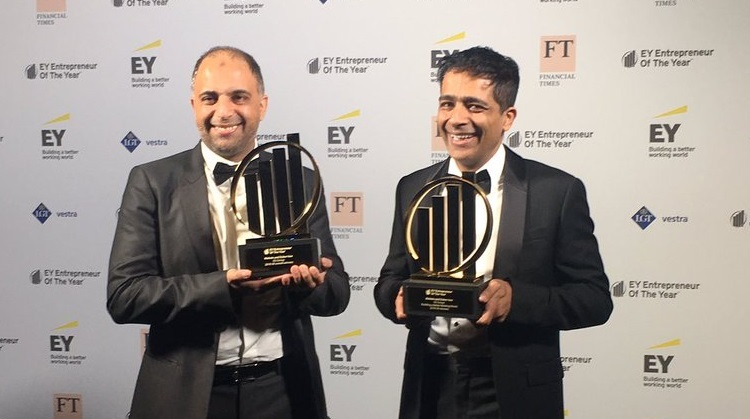 Mohsin and Zuber took away the top prize, and will now represent the UK in the EY World Entrepreneur of the Year in 2019. The two also received the Building A Better Working World award for the positive impact they and the business are making in communities here in the UK and internationally. SUBWAY® is a registered trademark of Subway IP Inc. ©2017 Subway IP Inc.